The city is ready to get some more of those (not so functional) Traffic signals at various places. Take a look at this at RPD corner. The Traffic lights here were installed in March 2008 and then were operational for only a couple of days. 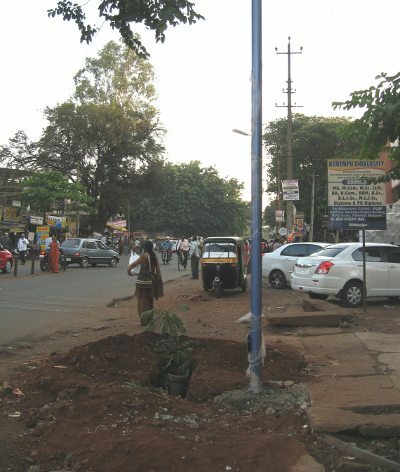 We had made a story Traffic Signals for what on May 7, 2011 highlighting that the Signals are now thrown off the road onto the sides of Deshmukh road. Yesterday there were new poles and pies seen at RPD corner for installation of NEW traffic signals. When the earlier ones were not used why these new ones? 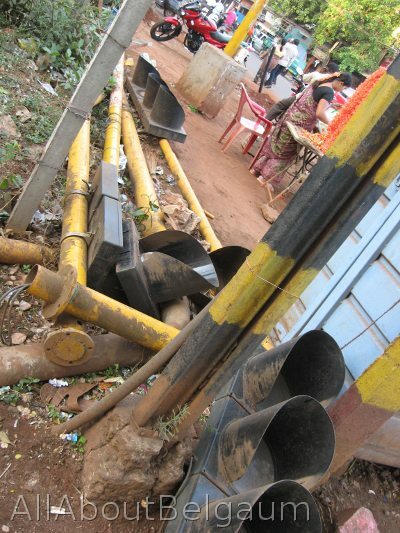 The road also would be dug up across the street to lay the pipes for the traffic signal another problem for commuters. We really fail to understand why the new signals when the earlier ones installed were never used and are still lying on the sides. Another part is if the signals are activated and functional there could be major chaos on Deshmukh road as the road is narrow. 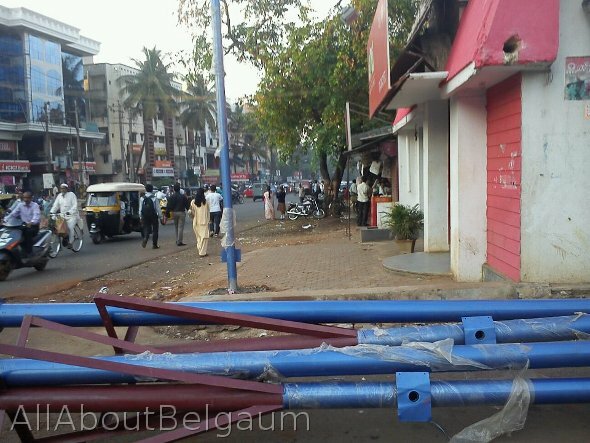 There is bus stop just near the Traffic signal now that will have to be moved for good traffic movement. There are a lot of pedestrian traffic at this circle which also needs to be addressed.